Next up on our Song-By-Song preview is the official entry from Iceland, “Our Choice” by Ari Olafsson, written by Þórunn Erna Clausen. 19 year old Olafsson is the youngest solo competitor in this year’s contest. The song is performed in English. 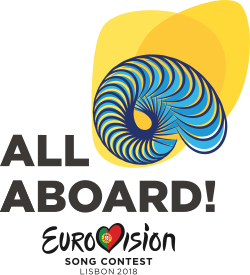 The song will be performed 2nd in the competition order on the first semi-final on May 8. Iceland debuted in Eurovision in 1986, and has participated 36 times. They have never managed a Grand Final championship, but they’ve come close twice, earning runner-up status with “All Out Of Luck” by Selma in 1999 and “Is It True?” by Yohanna in 2009. Since the introduction of semi-finals in 2004, the country has not qualified for the final six times, including last year.